All professional teams spearhead rigorous community outreach platforms, undertaken not out of obligation but mainly out of selflessness and the understanding that a widely recognized sports team has the power to spread its largesse over wide scale and improve the lives of many. The Kings, like the Rams, Dodgers, Lakers, Clippers, Angels, Galaxy and Ducks, are no different. Their initiatives include $1-million donations to both Children’s Hospital Los Angeles and Camp Ronald McDonald for Good Times, a $2.5-million donation to fund Discovery Cube’s Science of Hockey exhibit and the annual Tip-A-King fundraiser that garnered $275,000 of donations in 2014, $300,000 in 2015 and $400,000 in 2016. 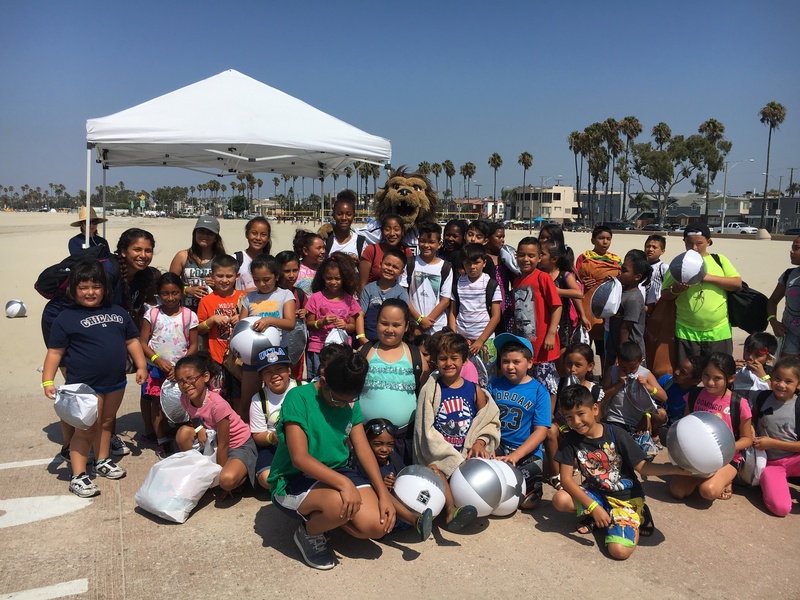 In their 50th season in Los Angeles, the Kings will be taking part in an extended outreach program that calls to attention the organization’s early roots in Long Beach and the longevity that the team has enjoyed in the Southland. 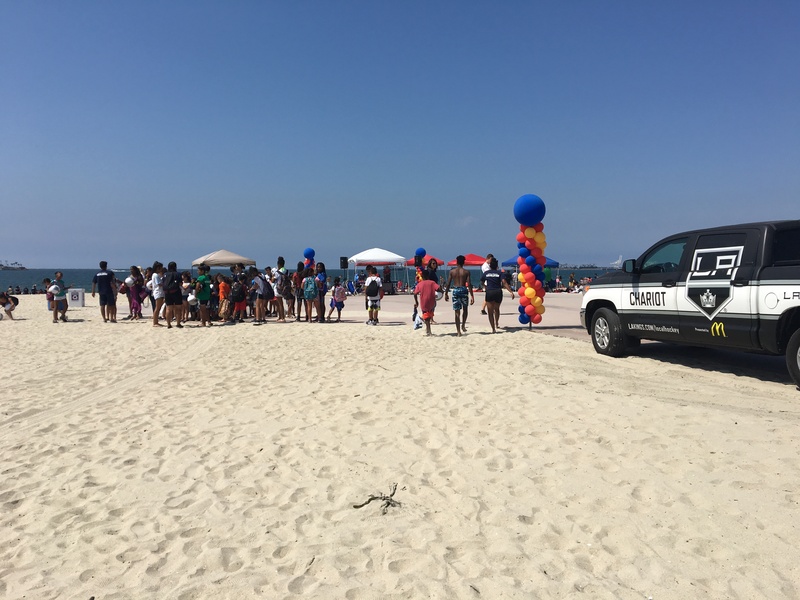 Branded Forever 50, the program kicked off with a beach day in Long Beach as roughly 2,000 children – several of whom were at the beach for the first time in their lives – took part in the city’s event. As planning for the team’s 50th anniversary has been several years in the making, AEG Sports COO referenced the question the organization asked itself as it related to planning community programs and affecting those less fortunate as deeply as possible while remaining visible over such an expansive area. “As in any year – not just our 50th season – almost first and foremost, it was ‘what are we doing with the city of Los Angeles and the cities around us that support us?” Cheeseman said. 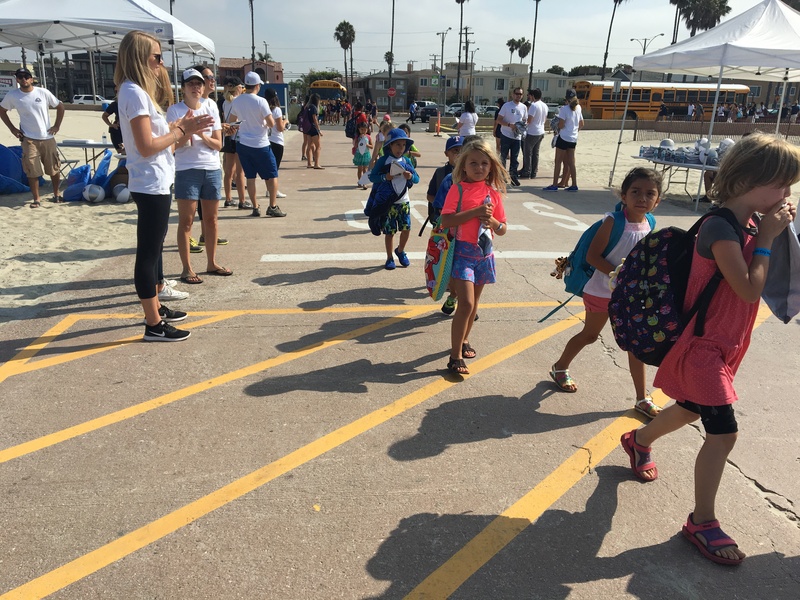 On Friday, the Forever 50 campaign opened as the team took part in Long Beach All City Beach Day, where 2,000 kids between the ages of five and 14 came together from 32 Long Beach Parks, Recreation & Marine Department Day Camps and Summer Fun Day sites and participated with team staff in sandcastle building and running obstacle courses and were treated to lunches and giveaways. 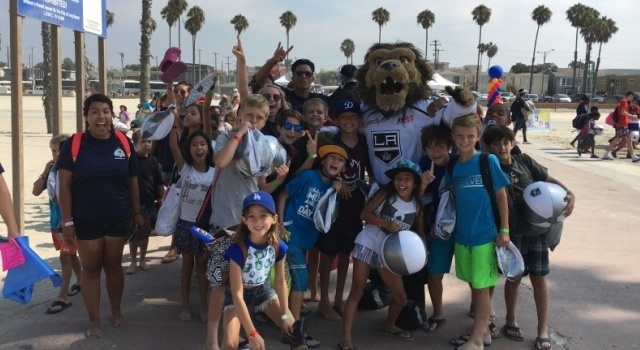 The Forever 50 campaign will remain active in Long Beach, where the Kings are partnering with the city to refurbish and resurface a roller hockey rink and will sponsor a street hockey program within the city’s parks and recreation department on Ocean Boulevard. The team generally undertakes 100 community events each season – not including the hundreds of birthday parties and personal events attended by Bailey – but in the 50th season, the team wanted to come up with the 50 most important events, and incorporate them on a wider scale. 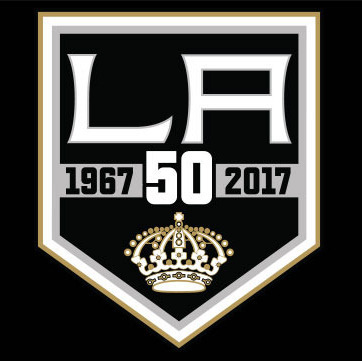 The team will also ask for volunteers to assist them during the Forever 50 campaign at events leading up to the All-Star Game, which will be played at Staples Center on January 29. Events in which volunteers can sign up to help the team and local communities will be announced at a later date. Additional initiatives will be announced as the season draws closer, but one to keep an eye on will be the expansion of its holiday ice rinks beyond the temporary rink that opens in November at L.A. Live. One is scheduled to open in Long Beach at the Pike Outlets, and others – Cheeseman says there will be at least five, with communications established for the sixth – should pop up elsewhere across the region. “It’s an important opportunity for us, and also it gets us entrenched in the community a different way that part of the year,” Cheeseman said. In addition to pop-up ice rinks and roller rink refurbishments, Jim Fox will once again host his annual Sunset Sip fundraiser to benefit The Guidance Center, a comprehensive mental health treatment center that benefits more than 3,000 children and families in Long Beach and surrounding cities. The event, linking the team’s 50th anniversary and The Guidance Center’s 70th year of operation, will take place at the Museum of Latin American Art for the second consecutive year and combines Fox’s love of wine with much needed fundraising to benefit those seeking mental health treatment and family counseling. As fox notes, there is a consistent uphill fight to get people to talk about mental health. Saturday, September 10, 6:30 p.m.
Saturday, September 17, 8:00 a.m.
October 8, 2016, 12:30 p.m.
Notice and coverage of additional events will follow. For more information on Forever 50, follow Kings Care on Twitter. Dollar figures supplied by the Kings. 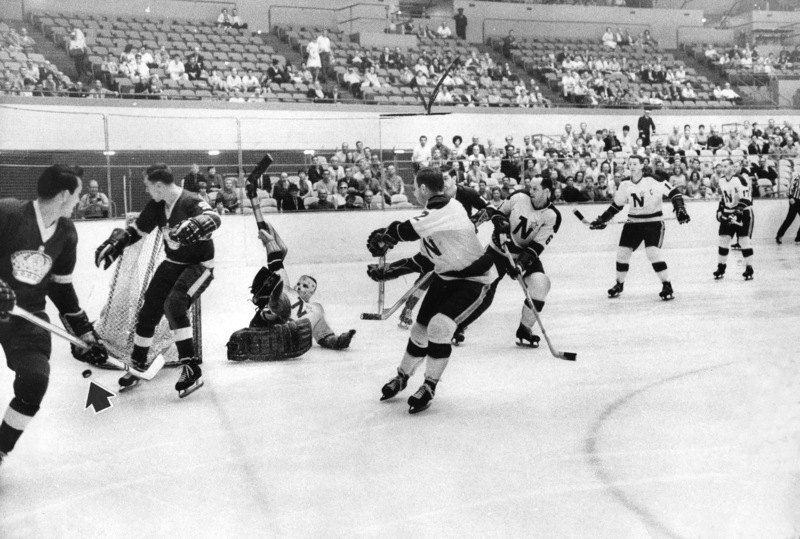 All photos credited to LA Kings, except for the 1967 Long Beach Arena photo, which is credited to Milton Martinez / Los Angeles Public Library / Los Angeles Herald-Examiner.